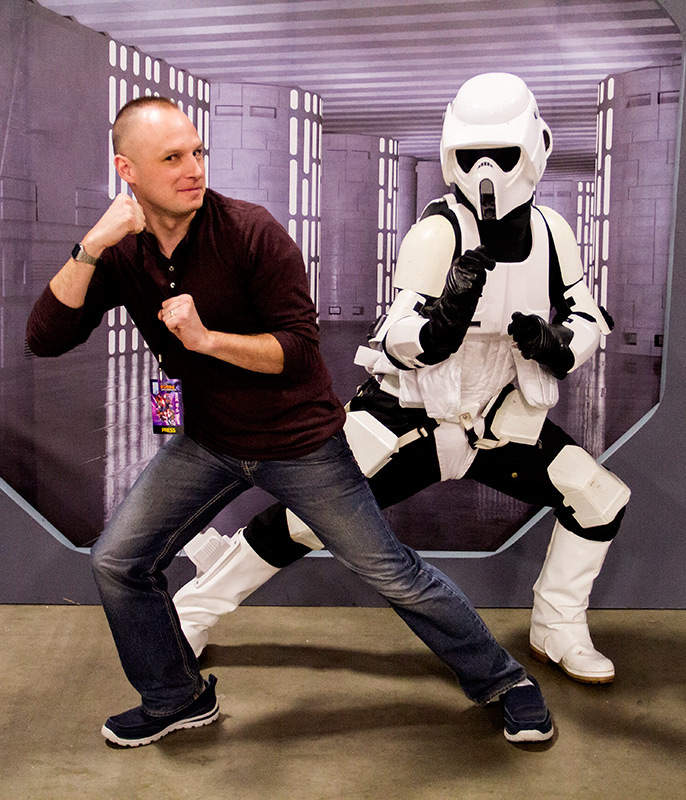 My favorite event from Salt Lake Comic Con 2014 was not even technically a part of the Con. 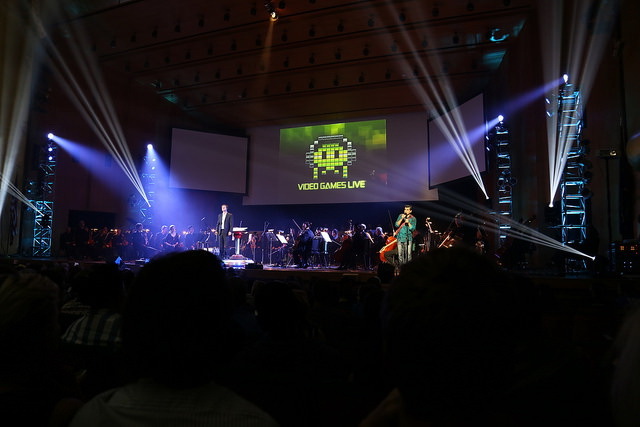 On Saturday, Video Games Live held two concerts at Abravanel Hall which is a part of the convention center where Comic Con was held. The concert was held in conjunction with Comic Con, but it was a separate, ticketed event. Regardless, it was the perfect pairing and I hope that if/when they come back, that they try to line it up alongside Comic Con again. I have always wanted to attend the show, so it was the perfect end to a great Con. 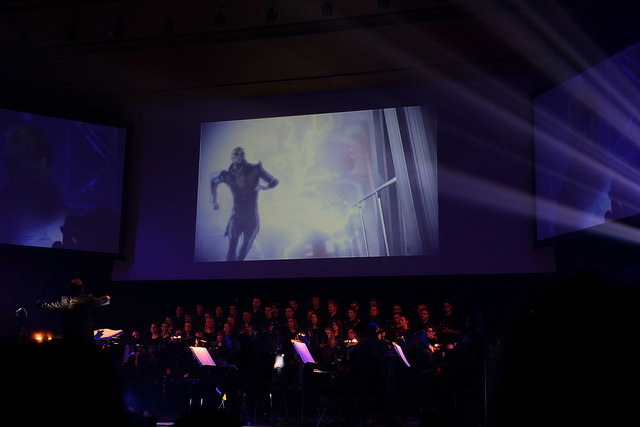 Video Games Live is a live symphony performance of popular video game music. 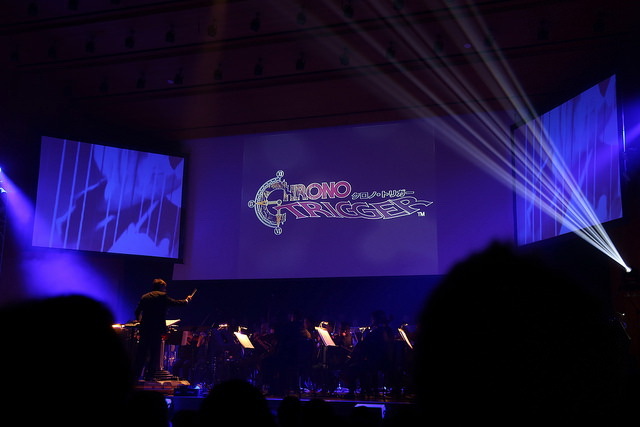 Produced by Tommy Tallarico, a popular video game musician and composer who has worked on over 300 games, the show features a local symphony and choir, a light show, and accompanying video game imagery. This is not your typical symphony. You are encouraged to clap and cheer and call out your favorite moments. And there are a ton of them. Selections come from old school games like Tetris and Mega Man to more current hits like Skyrim and Portal. Some moments are funny, others are reverent, and many are stirring. I love video games, and there is a special place in my heart for this music. At the expense of getting a little cheesy, music truly speaks to the soul and is the universal language. Even people who know nothing of video games would still enjoy the performance because, at the end of the day, it’s just beautiful music. But for fans like myself, there is that extra layer of nostalgia and memory that really amplifies the experience. I am not a crier, but there were several moments that I was genuinely choked up. For example, the song from World of Warcraft was a beautiful piece and the singer that they brought out to accompany the orchestra sang this haunting melody that hit me hard. And I don’t even play that game! Please, please, please try to see this show if it comes to your town. I will definitely attend when it comes back and I will bring others with me. This is a show that needs to be experienced. Fus Ro Dah!